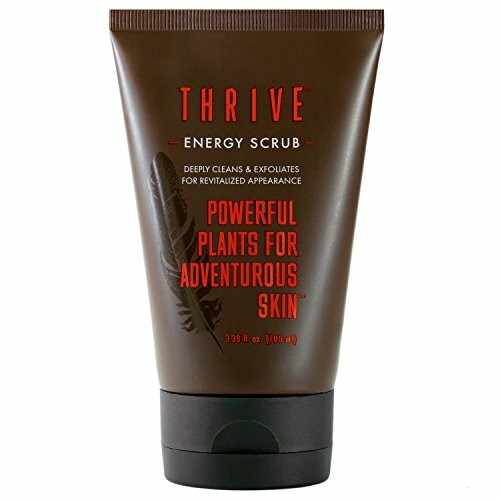 Why we love it: Improve skin texture and deeply cleanse with this vegan men’s facial scrub from Thrive. Nut-based exfoliants and Arabica Coffee grounds polish the skin, removing dead skin cells and revealing a healthier complexion. A natural, subtle fragrance of Grapefruit, Lemon, Orange, Vetiver, Star Anise and Clove Oils might become your new addiction. A few times a week, massage product into wet skin and rinse. Follow up with moisturizer. This Energy Scrub is gluten free, GMO free, and animal product/cruelty free (ok for vegans).